Pinkiou- The Professional Airbrush Permanent Tattoo Makeup Brand / Press Center / Pinkiou Brush Review – Worth It? Makeup application is an art form. In the past several years, the truth in this statement has become more and more obvious. While a decade ago, makeup was just considered something people had to do to cover blemishes, now days applying makeup has become a form of art. Anyone who has been on YouTube lately will have seen at least one makeup tutorial video. These videos are everywhere, with the people who lead out in these tutorials becoming famous for their amazing skill and thorough lessons. And, as applying makeup is being accepted as the art form it is, more and more products are being released to support the trend. The problem with new makeup and makeup tools is that so many of them are ridiculously expensive. While many makeup counters will allow customers to touch and sample their products, they have limited product. There is so much more available online. Unfortunately, it can be a little nerve-wracking to spend money on a product that hasn’t been seen in person. 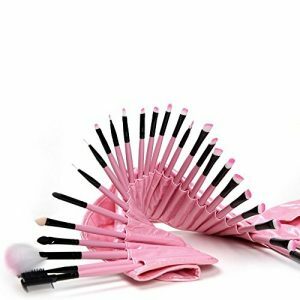 The Pinkiou brush is a product that is sold online. Despite the fact that it is an extremely high quality product, the makers understand that purchasing it without feeling and using it first is something that daunts makeup enthusiasts. This is why, as a celebration for the new American Beauty Association, the Pinkiou brush is being offered for free. What is the Pinkiou Brush? The Pinkiou brush is a flat top brush that allows users to get medium to heavy coverage with their powder or liquid makeup. 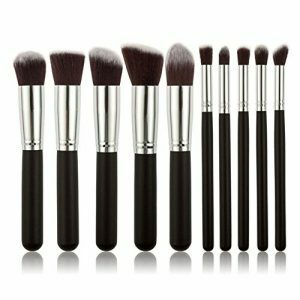 The brush is made from the highest quality, high-density, synthetic taklon bristles. In addition to containing these amazing bristles, that are only a quarter as thick as a single strand of hair, the Pinkiou brush contains over 22,000 individual bristles. In comparison, most high end brushes have 2,000-5,000 bristles. The flat top and incredible bristle quality of the Pinkiou brush allow it to give users the most flawless foundation application possible. It works to evenly spread the foundation across the skin, keeping the texture and tone that so many other brushes ruin during application. And, while perfect and smooth application is more than enough to set the Pinkiou brush apart from the competition, it is also one of the only brushes that is guaranteed not to shed. This means that all those amazingly fine, soft bristles that the Pinkiou brush is known for won’t be going anywhere. What is the American Beauty Association? The Pinkiou brush is being given away for free as a celebration of the new American Beauty Association, or ABA. This new association was created to help create a safe space for a community of beauty enthusiasts. With the ABA, these like-minded people can come together and share their passions. One of the best things about the ABA is that it is an association that accepts all levels of experience and expertise in the makeup industry. So, whether someone is a long time beauty professional or a newbie who is passionate about learning more about beauty, they will find a safe place to share with the ABA. Because ABA accepts people from so many different areas in life, it is one of the only associations related to beauty that anyone can join. The goal of the ABA is two-fold. First, it hopes to empower any and everyone who wants to know about the beauty industry. The ABA does this by providing training, certification, connections, and a community where everyone can thrive. The second part of the ABA’s goal is to improve the beauty industry. Instead of remaining happy to provide a safe community for beauty enthusiasts, the ABA supports causes that can innovate and improve beauty. It sets standards that it sticks to and supports in the world at large. The ABA supports its causes and standards through petitions, lobbying efforts, and by keeping its members informed. By taking these crucial steps, the ABA hopes to be a power for good in the beauty industry. The first example of how the ABA is hoping to better the world can be seen in its current promotion. The Pinkiou brush is being offered for free as a way to spread the word about the ABA. Usually sold at the price of $24, the Pinkiou has the quality and gives the results that the ABA is proud to stand behind. The Pinkiou brush has been compared to the Sigma – F80 Flat Top, one of the best-selling brushes on Amazon. However, unlike the Mieoko, the Sigma is not being offered for free. And, just like the Sigma, the Pinkiou brush comes with an amazing host of benefits.